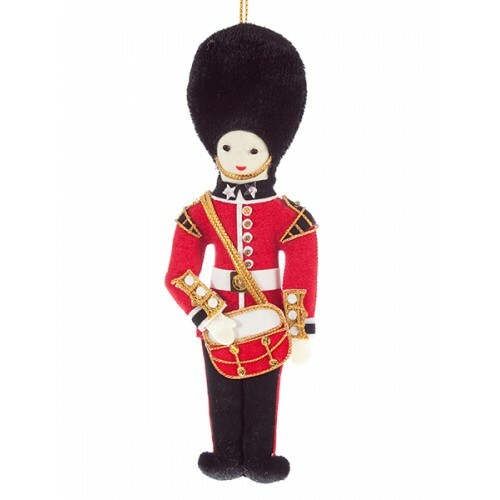 In his splendid uniform of red and gold and our handmade Bandsman with Drum ornament is inspired by the military band who accompany the fantastic changing of the guard at Buckingham Palace. Approximate Size: 16cm height. Sent in a clear plastic bag.